Crisse Milner is a Licensed Professional Counselor who obtained her Master’s degree from Lewis and Clark College. She has over 10 years experience working with young children and their families, focusing on building bridges between parents and young children while helping to increase awareness of how our behaviors are impacted by the relationships we have with those around us. Her focus on supporting the development of strong and healthy attachments between parents and young children has been supported by her training in Child-Parent Psychotherapy and the Circle of Security Parenting program. Through her work as a Parent Educator she was able to help parents learn about child development and the social/emotional needs of their young children to enhance and strengthen relationships and support these families in optimal success. Crisse spent over 6 years as an Early Childhood Therapist in a community mental health setting providing support to children and their families. Her experiences during this time helped her to understand the importance of supporting parents and caregivers. Working closely with parents will help all involved to feel confident in being able to meet the needs of their child, and to create healthy and happy family relationships. In today’s high paced and technological world we sometimes miss out on the wonder and magic that nature has to offer. 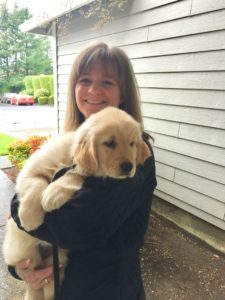 Crisse has sought to share her love of the natural world with those she works with in hopes of helping people experience all the unique and interesting ways the world operates and reconnect them with the magic that is nature.